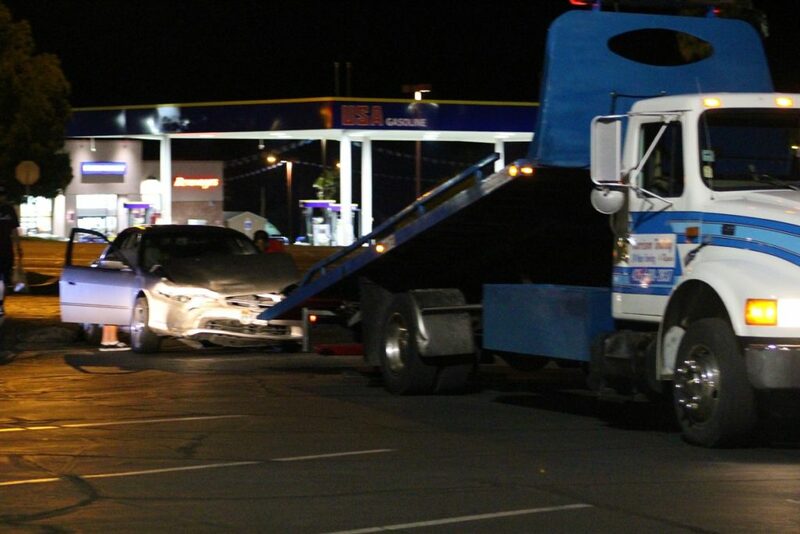 ST. GEORGE — A quiet Sunday night was interrupted when two cars collided, resulting in one of the drivers being cited for failing to yield. According to the Utah Department of Public Safety, failure to yield is the second highest cause of all crashes on Utah’s roadways and the fifth leading cause of Utah fatal crashes. 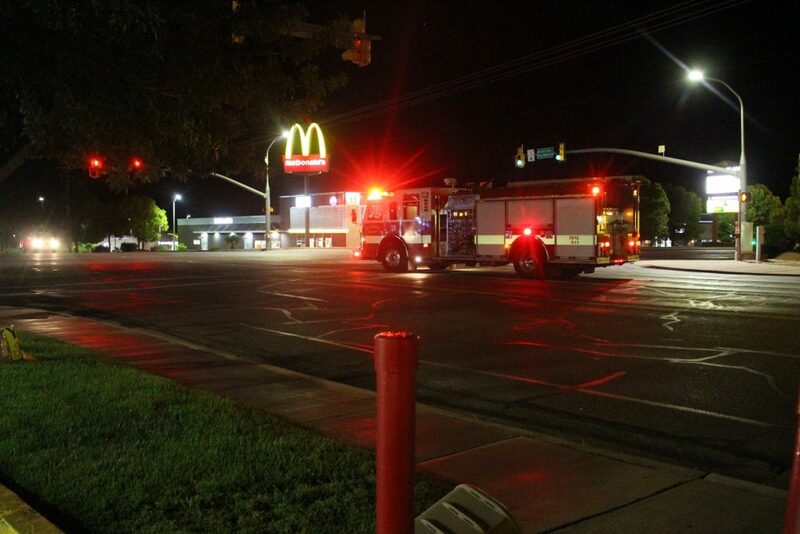 Just before 10:30 p.m. officers and emergency personnel were dispatched to a two-car collision in the intersection of W. Sunset Boulevard and N. Dixie Downs Road. Upon arrival, officers found two extensively damaged vehicles in the middle of the roadway, St. George Police Sgt. Albert Gilman said. After speaking with the drivers and witnesses, officers determined that the woman driving a black four-door sedan was traveling west on W. Sunset Boulevard. As she approached the intersection with N. Dixie Downs Road, the light turned yellow, and she continued through the intersection without stopping. 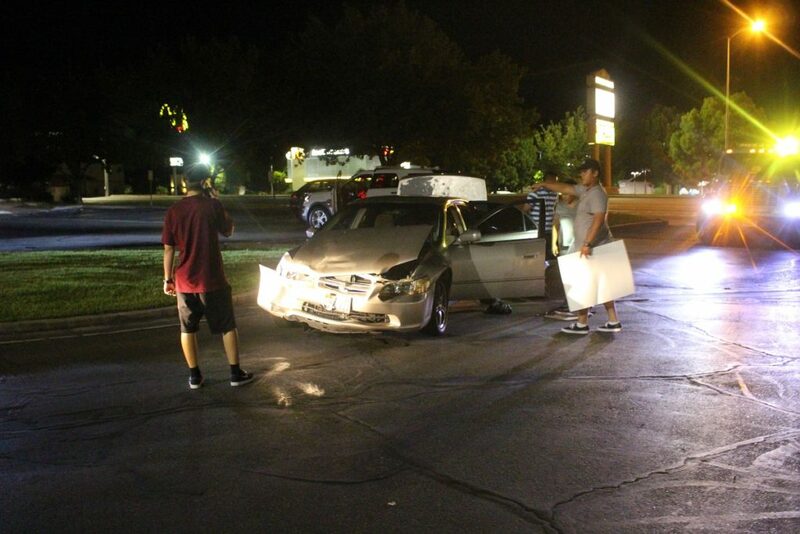 At the same time, a silver Honda traveling east on W. Sunset Boulevard approached the same intersection and attempted to make a left-hand turn heading north on N. Dixie Downs Road but instead struck the black sedan as it came through the intersection. The impact sent both vehicles spinning in the intersection before coming to rest in the middle. Both drivers were wearing their seat belts at the time of the crash. 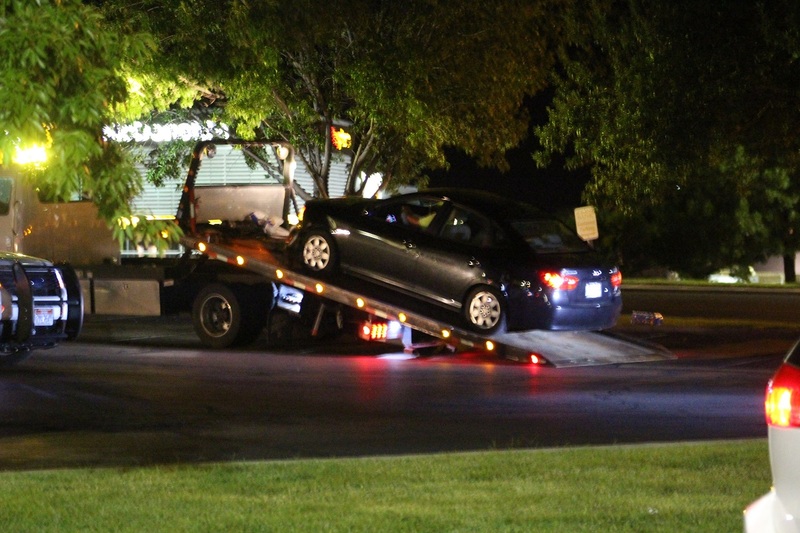 The driver of the Honda was cited for failing to yield, and the damaged vehicles were then towed from the scene. According to the most recently available statistics from the Utah Department of Public Safety, over 54,000 crashes were reported in Utah in 2014. A vehicle crash occurred every nine minutes. As a result, a person was injured every 22 minutes, and every 34 hours, a person died from a crash. This figures to be over 23,000 people injured and 256 killed in 2014. Failing to yield contributed to more than 9,700 crashes statewide and was the second leading cause of automobile collisions in 2014. Following too closely was the No. 1 cause. Failing to yield was the fifth leading cause of all fatal crashes in Utah that year, killing 36 people. Speeding was the leading cause of death.